Opera For Children: "The Sky is Falling and I'm Not Even Kidding"
Home › Events › Opera For Children: "The Sky is Falling and I'm Not Even Kidding"
“The Sky is Falling and I’m Not Even Kidding,” a children’s opera by Nancy Steele Brokaw, is a fun, fast-paced romp that kids and adults of all ages will enjoy. 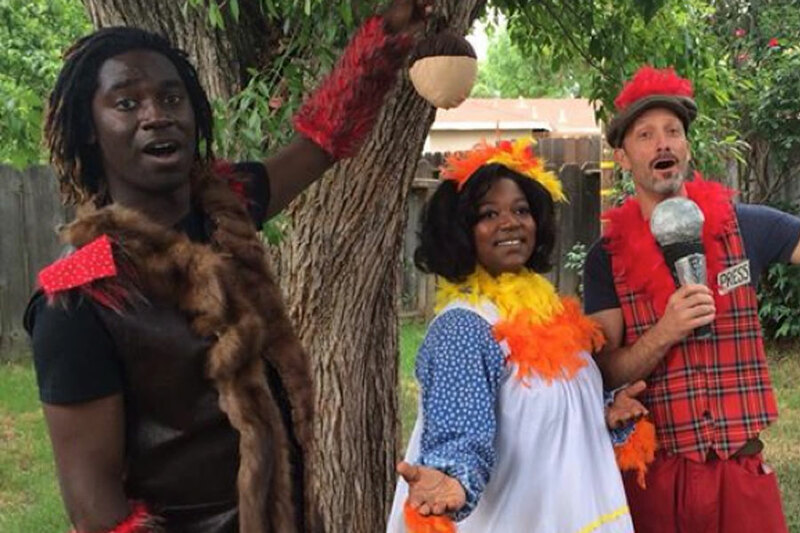 The antics of Henny Penny and friends are set to the glorious tunes of Mozart, Puccini, Gilbert&Sullivan, and Bizet.The free public performance on May 23 at 6:30 presents the opera as it will have been seen by around 3000 schoolchildren during 10 school performances during the week of May 19-23. Donations accepted. "The music is glorious and [the] performers are top-notch." "Nearly 3,500 elementary school students and educators will attend this year’s opera."